If you’re not on Instagram, you better get to it. Instagram is a social media platform that is easily one of the top marketing platforms out there. With millions of users using it daily, you better believe it’s a great tool to utilize for your business’s growth. More and more consumers follow their favorite brands on social media, so having a presence on Instagram is a smart move to connect with your audience while increasing brand awareness. It also makes your practice more relatable as you share transparent experiences by bringing your followers “behind-the scenes” and giving an inside look into your company’s culture. So what makes Instagram different from other social media platforms? The visual nature of Instagram is its competitive advantage. We humans are known to be very visual creatures, and the ability to be a part of a platform that provides a never-ending feed of visually pleasing content is one’s dream. Visuals are known to invoke emotions, which allows health practices to create deep connections with their target audience. Instagram also allows their users to be more anonymous compared to other social networks, allowing them to easily like, comment, and engage with posts more freely without the fear of being judged publicly. Need some tips on how to get started? This post will get you started on some smart tips to go about marketing your business on Instagram. Read on. There are various apps available for Instagram that are designed to accelerate your social goals, improve time-management, and make your marketing more efficient—use them. From apps like photo shopping, providing analytical data, to scheduling your content and managing your followers; pick one or two that work best for your brand and objectives. Facetune – A photoshop-type app to perfecting your images. UNUM – Easily manage and plan your Instagram while growing followers. Repost –Easily repost images on Instagram to build relationships with followers, highlight influencers in your niche, and initiate new conversations. Social Insight –Your Instagram analytics tool to monitor engagement, follower growth, interactions, and overall progress to gauge your IG marketing success. Instagram business accounts allow users to setup more detailed contact information, which allows audiences to call or connect with that business right from the Instagram app. These specialized business profiles also let their owners view more detail analytics, which provide valuable insights into successful posts. If you are a business, you should get into the habit of posting at least once to three times per day. Studies have shown the most visible brands on Instagram post 1.5 times per day, and they post around the same time each day. 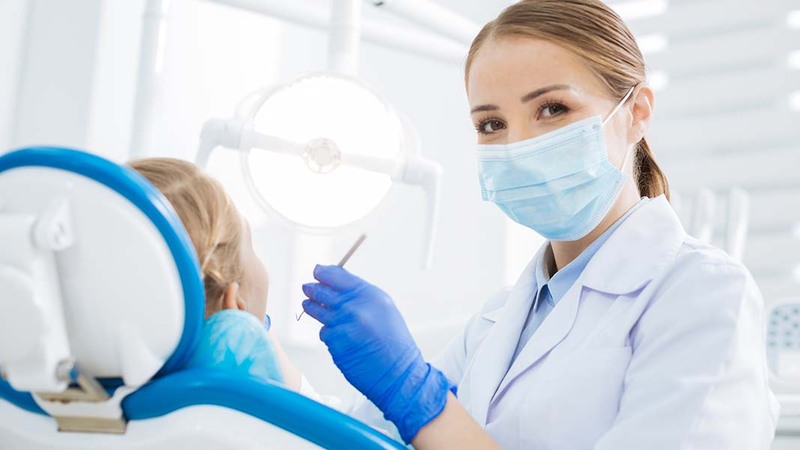 By posting at regular intervals, you establish an expectation for your audience, and make it easier for them to interact with your dental practice. If you’re just starting off, gradually post twice a day if you can, but post at least once per day to grow your followers and keep them engaged. Everyone loves to win, or at least try and win, right? The best way to gain more followers is to hold contests—whether it’s a photo, caption or video contests, make sure it’s easy for you and easy for them. Ask for entries using a specific hashtag which will tag the photo to your page, making it a lot easier to keep track of entries. Hosting contests will create buzz around your brand and will have a significant impact on increasing followership. With the information you gather from the content, it will allow you to analyze customer engagement levels to find the best time to post in order to grow your audience. Research states the best time to post on Instagram is between 12pm-1pm, Monday-Friday. However, to figure out your best time to post for your account, if you set your account to business, under ‘analytics’ you can view the times your audience is the most engaged. Instagram is a tool that should be used to show off the personality of your dental or health practice. Avoid posting too much of the same photos of one single subject. Instead, spend time thinking about how you can make each post unique. Keeping your audience engaged is the most important key point to successfully have your followers entertained and wanting to come back for more. Hashtags are a great and easy way for other users who are also using that hashtag to find your content. If you are not familiar with the term “hashtag,” it is a phrase or a keyword that is preceded by the pound sign (#). They are critical because they turn into links, allowing the users to see every post that the hashtag was used for. For instance, if you use the hashtag, “#teethwhitening” in your picture caption, anyone searching for that hashtag will see your image. Hashtags help Instagram users search for content. The correct hashtag, or a combination of hashtags, will expose your dental practice to a wider customer base. One of the best ways to simplify hashtags is to do some research and see what your competitors are using. You can see what is working by understanding the level of customer engagement they are generating. Video on social media is quickly arising; it’s not only popular but is an effective way to connect with your followers. Instagram Stories is one of the latest features and practices can “go live” and convey their message using video. While there are many ways to include a live video in your Instagram strategy, hosting live Q&A sessions where you can answer your followers in real time may prove to be highly effective. Do you already do any of these tips? Start your Instagram strategy by using these 8 genius tips above. 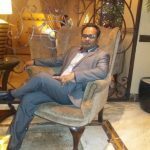 Usman Raza is a CEO of Usman Digital Media and co-founder of Christian Marketing Experts, content marketing specialist at webdaytona.com. He has been writing for magazines and newspapers since 2001, and editing and managing websites since 2006. Usman has a BA in Business Development, Philosophy, and English. A generalist, his most covered topics are business and technology. When not working, he’s probably spending time with his family.